Highlights - The remote tracts of Kinnaur, Lahaul & Spiti are bound together by a rich cultural tradition, rivers, steep mountains, valleys & passes. The natural beauty of the region is heightened by hospitable people who till recent past lived in secluded isolation. 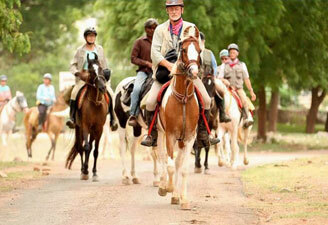 This tour will take you to the remote areas of Himachal Pradesh. Experience the life-style & culture of the people of Lahaul & Spiti and Kinnaur. View some of the most fascinating thousand year old monasteries. 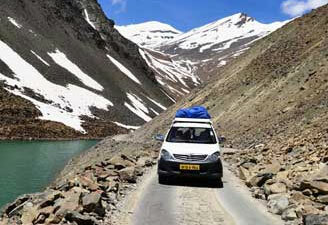 Travel by jeep from Manali to Batal over the Rohtang Pass (3980 m). Overnight stay in tents at Batal. 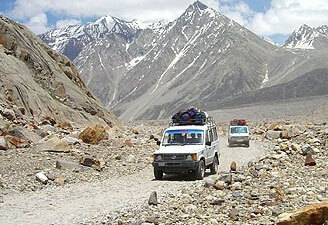 Travel by jeep from Batal to Kaza over the Kunzam Pass (4558 m). Overnight stay in tents at Kaza. Visit Ki monastery, 12 Km from Kaza. This centuries old gompa is a labyrinth of rooms and corridors. 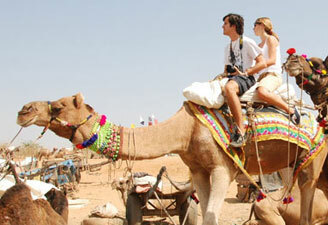 It houses valuable 'Thangkas' and offers a panoramic view of the area. Also visit the small gompa at Kibber. Kibber at 4205 m has the distinction of being the highest permanently inhabited village of the region. Overnight stay in tents at Kaza. An excursion visiting Pin Valley, the land of Ibex and Snow Leopards. Also visit an old monastery 'Gungri monastery' in Pin Valley. Overnight stay in tents at Kaza. Travel by jeep from Kaza to Tabo enroute visiting Dhankar gompa. This gompa rests high over the valley and is a stupendous example of local architecture. Founded in 996 AD by the great teacher Richensang-po, Tabo is renowned for its breathtaking murals and stucco images - and is often called "The Ajanta of the Himalayas". Tabo's sanctity is next only to Tibet's Tholing gompa. Overnight stay in tents at Tabo. Travel by jeep from Tabo to Sangla enroute visiting Nako, built around a lake, this is one of Kinnaur's most charming villages. Travel onwards to Sangla passing Khab, the confluence of the rivers Spiti and Sutlej. Overnight in camps. In picturesque settings and with interesting architecture, visit the village of Chitkul. Overnight stay in a camp. Travel by jeep from Sangla to Sarahan. On arrival check in at hotel. Afternoon visit the famous Bhimakali temple. Overnight stay at a Hotel in Sarahan. Travel by jeep from Sarahan to Shimla. On arrival check in at hotel. Overnight stay at Hotel in Shimla. At leisure. Later transfer from Shima to Kalka railway station (96 Km). Board Shatabdi Express for Delhi. On arrival, transfer to Hotel. Overnight stay at Hotel in Delhi. In the morning, transfer to International airport to connect to flight for onward destination.